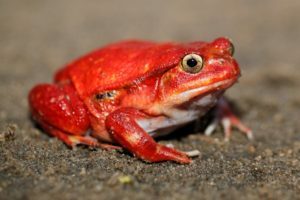 W O W !! ZooNooz! The following are just a few of the images in this beautiful wall art calendar. Home Depot comes to the rescue! A huge thank you and miles of gratitude to Home Depot at Morgan Crossing for coming out to Urban Safari a few days ago to help with the outdoor turtle pond!! They brought a crew of folks to do the labour and donated the material to create a wonderful outdoor space for the Red Ear Slider turtles in our care. It was a huge job which we are still working on. In the end it will be a great space in a more natural setting for the turtles and a fun space for visitors to see and learn about the turtles and learn why they are a bad thing for our environment. 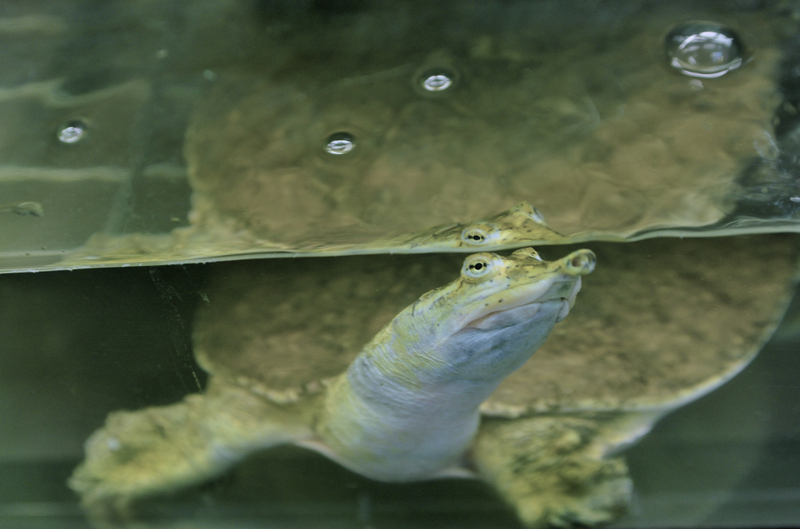 Red Ear Slider turtles are a serious invasive species in our environment and cause significant environmental damage. 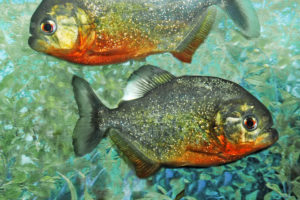 They should never be dumped in lakes, ponds or other water sources. If you have a population of Red Ear Slider turtles in your local lake etc. you can contact Wildlife Preservation Canada or the Western Painted Turtle Project and they will take care of the problem. Do not try to catch the turtles yourself. 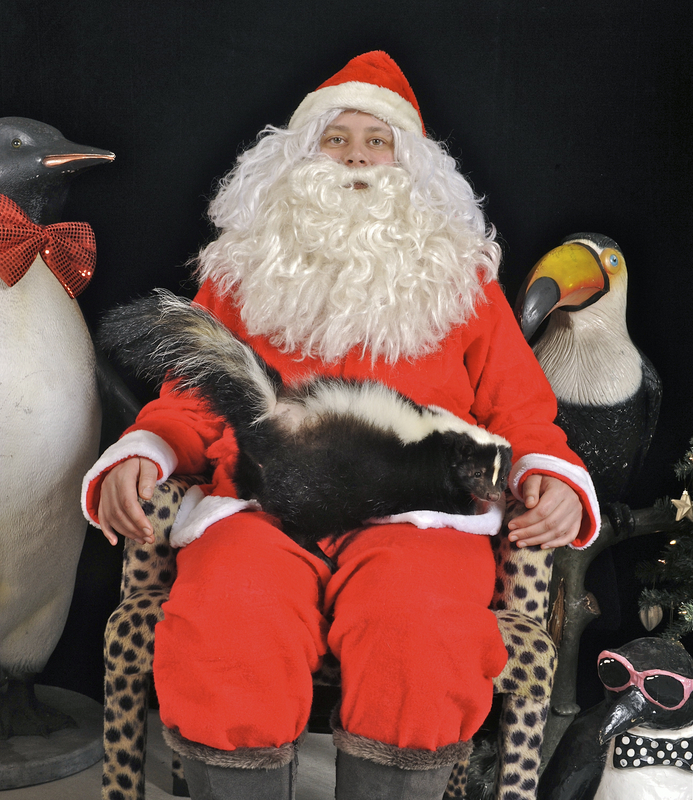 We have a few Christmas ideas for kids and adults who are interested in animals. 4) sponsor an animal for a month or a year in the name of your loved one. All money goes directly toward the care, feeding, and housing of that animal. 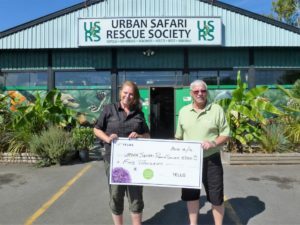 5) donate to Urban Safari in the name of your loved one. As a registered non-profit we can issue you an official tax receipt for your donation. Check it out! You may become inspired. Here is a couple samples. Many species of sea turtles are endangered due to over development of their habitat, over fishing, poaching, even being hit by boats as they try to reach their beaches to lay eggs. The Mexican government has taken action. On both Mexican coasts the government employs biologists and workers to help save turtle eggs and hatchlings. Every early morning during turtle egg laying season workers and volunteers patrol the beaches by foot and ATV looking for nests where turtle eggs have been laid over night. The eggs are then dug up and carefully transported to turtle nurseries. 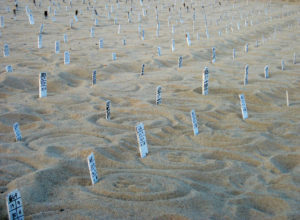 Turtle hatchlings are released to the sea in the evening. This series of photos taken on a recent trip to Mexico explains the process. This government sponsored program is seeing great success. If you are vacationing in Mexico you can see the program in action. 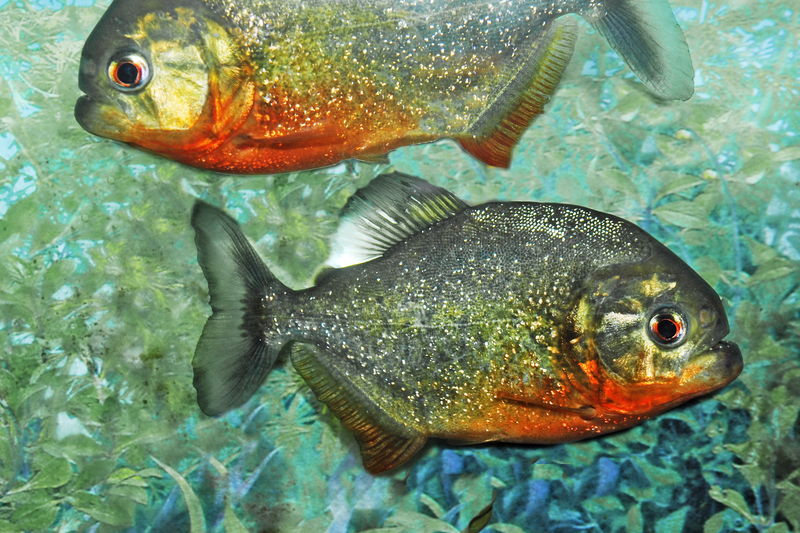 If you want to get more involved there are several conservation groups that take volunteers. You pay for your ticket there and room and board. 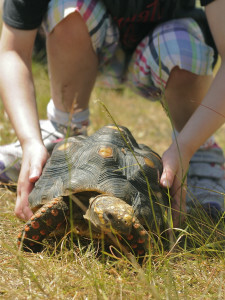 They will teach you about turtle conservation and you get daily hands on experience in the field. 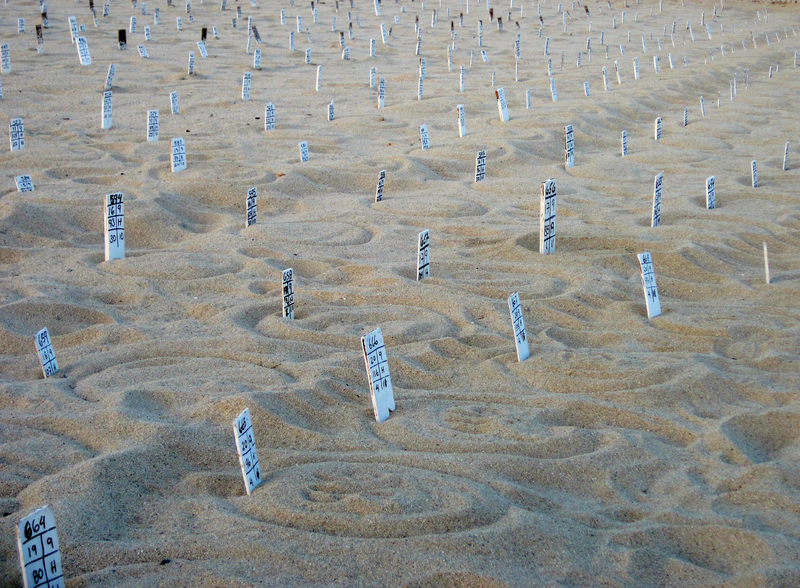 Baby Olive Green sea turtles make their way to the sea for the first time Turtle nursery – turtle eggs are buried in the sand and cataloged to await their hatching. 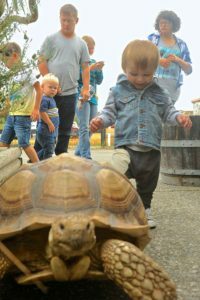 Junior Zoo Keeping course !! 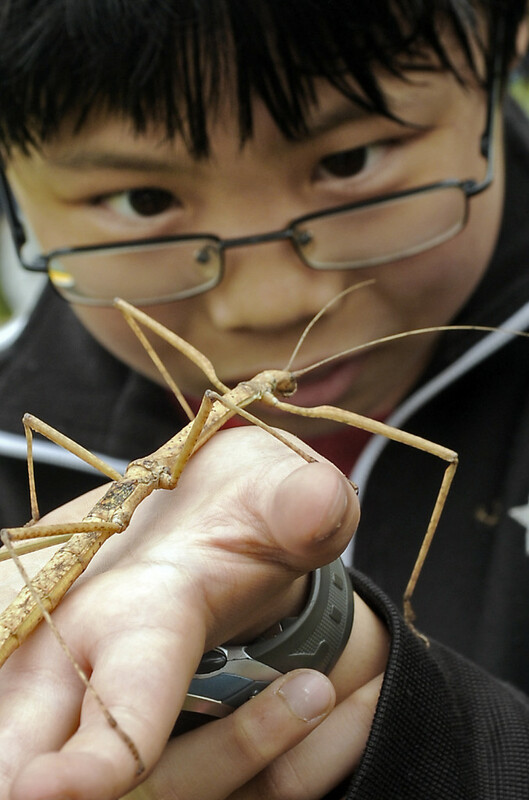 The next session of Urban Safari Rescue Society’s Junior Zoo Keeping course for 13 yrs. to 17 yrs. old begins Sunday Oct. 15 from 1 to 3pm. 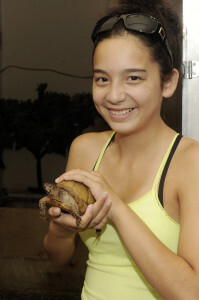 This course is designed for teens who have an interest in animals and the natural world. During the 7 week course they will learn how to care for animals in captivity, what career opportunities are available when working with animals, training animals, animal characteristics, and much more. They will also be given opportunities to work with and care for many of the animals at our facility. 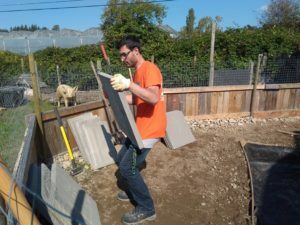 This is a unique course full of opportunity and information that they can apply in the future whether it is caring for their own animals or exploring future careers. 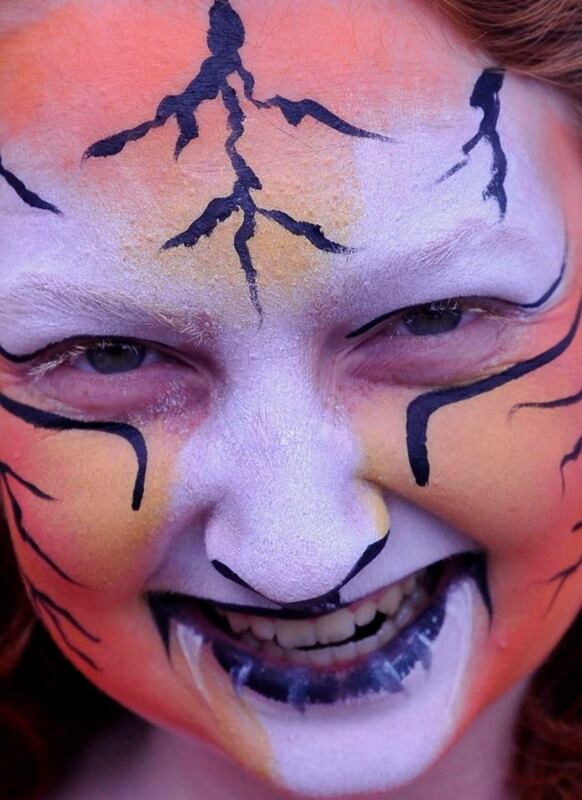 Join us for a day of family fun and adventure. We start the day with a pancake breakfast then launch into a day of exploration with animals. We will be coming to all 22 Fraser Regional Libraries from Hope to North Delta over the next 3 weeks to teach everyone about some amazing creatures, why they don’t always make good pet choices, and conservation issues. If you want to come join us for an hour of exploration check your location library for the date and time of our visit. HAPPY NEW YEAR Everyone! We wish you all the best of health and prosperity for the New Year. We are excited about 2017! We are working on new programs, planned renovations to our facility adding new things for our visitors to explore, and more. Our first event is Saturday Jan. 7 up to 5:30pm. Tree Chipping and Bottle Drive fund raiser. 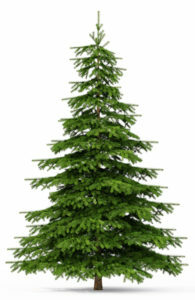 Bring your Xmas tree and empty bottles and cans to us and we will give them new life – recycling the bottles and chipping the trees into mulch for gardens everywhere. Tree chipping is by donation. 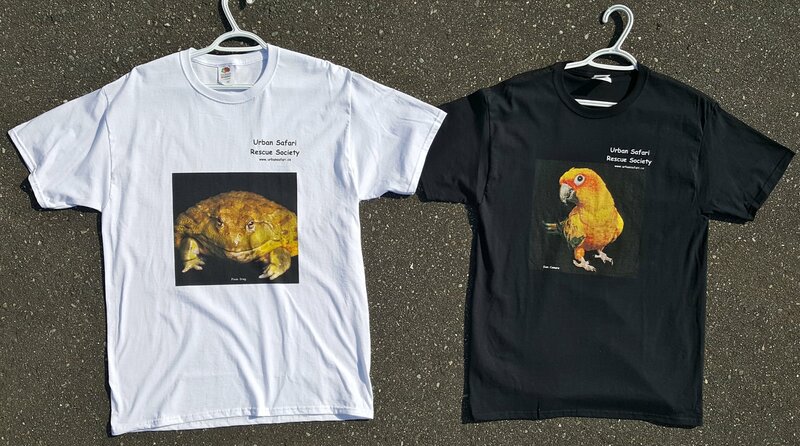 All money raised goes directly toward the care and housing of our 350 unwanted exotic animals. It is a great way to start their year, take care of some of your Xmas garbage, and get a warm fuzzy feeling for helping out. Just in time for Christmas. We have the Family Pass and Membership. A great gift idea for the family who loves animals of all kinds and kids who are curious about the animal world. Adults become members in the society and are entitled to attend our Annual General Meeting and vote on resolutions and the Board of Directors. For more information please visit our membership page. 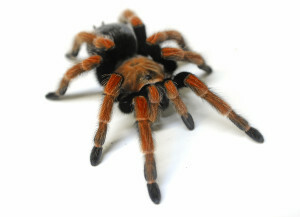 Able to handle exotic animals of all kinds – not squeemish about snakes, tarantulas, lizards, rats etc. The Job: We will train you to be a presenter. 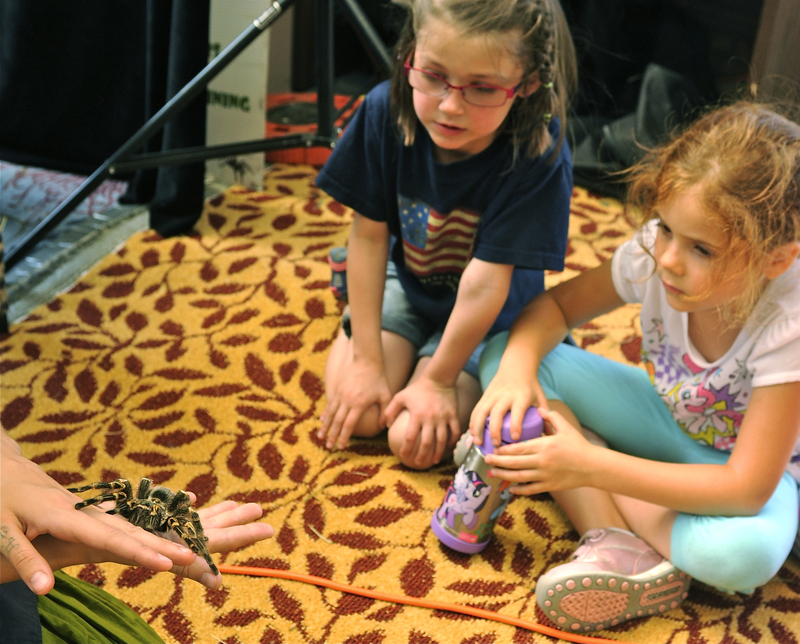 You will go with our animals and an assistant to school, daycares, festivals, and private homes and teach people about exotic animals, issues surrounding exotic animals, conservation, and many other specific topics such as habitat, adaptations etc. You will ensure the health and safety of the animals in your care. You will exhibit professionalism and excellent customer service at all times. As an Animal care attendant: we will train you regarding the care and feeding of our 350 rescued and surrendered animals. 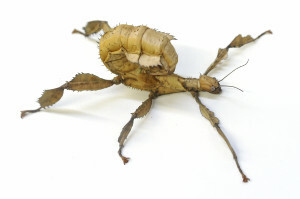 We have everything from insects to small mammals. You will clean cages, prepare food, feed animals according to their schedule, keeps records on feeding, cleaning, medical needs of the animals. You will also be responsible for general maintenance of the facility. On Saturday September 17 at 3pm. 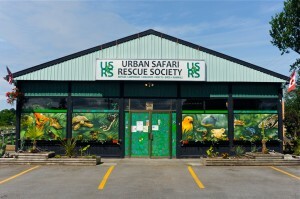 we will be holding our Anuual General Meeting ( AGM ) at Urban Safari – 1395 176th St. Surrey BC. If you are a member in the Urban Safari Rescue Society please come and hear about the projects and progress we have made this year. You also get to see our income statement and balance sheet, and vote on our new Board of Directors. If you are not a member yet consider becoming a member. There are member benefits and you get to help shape the future of the society. Yesterday morning we were visited by the TELUS Charitable Giving team who handed us a donation cheque for $5,000.00 !! OMG!! We were speechless! Thank you Telus and employees for this much appreciated and well timed donation. As it happened one of our vans died so this money will go toward a replacement vehicle. 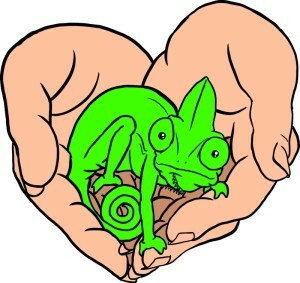 The TELUS Charitable Giving Program is a dollar matching program TELUS has with it’s employees. For every dollar the employee puts into the program TELUS matches and then the employee chooses a charity to receive the combined amount. Through this program TELUS and employees have donated $4.9 million to more than 2,350 registered Canadian charities in 2016. 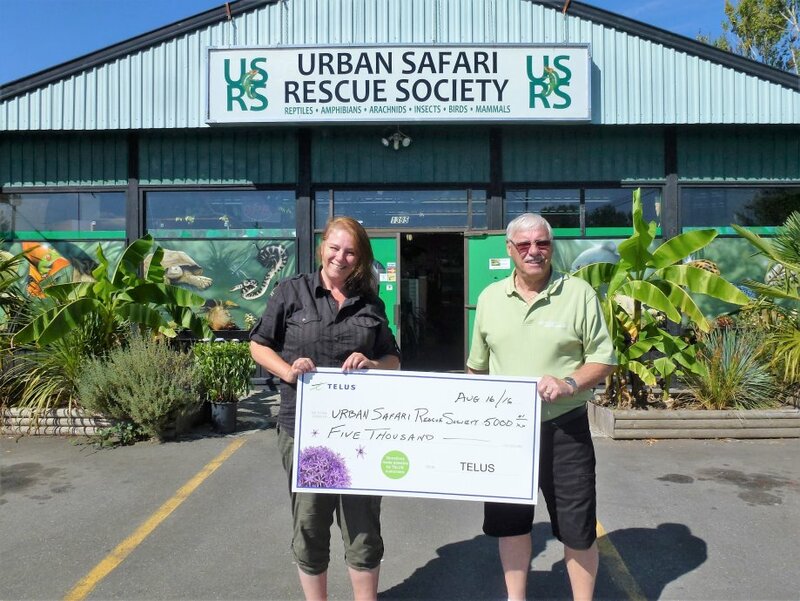 Way to go TELUS for helping small charities like ours continue to do the work we do. The Open House was last Sunday. It was a big success and we are getting back to normal. 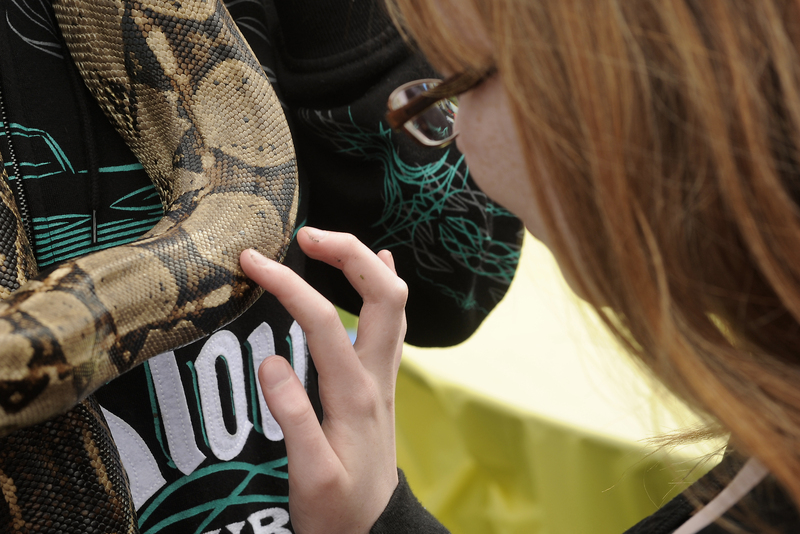 It was a fun day, a hectic day, and it was all about animals. Thank you to the 700 people who came throughout the day! 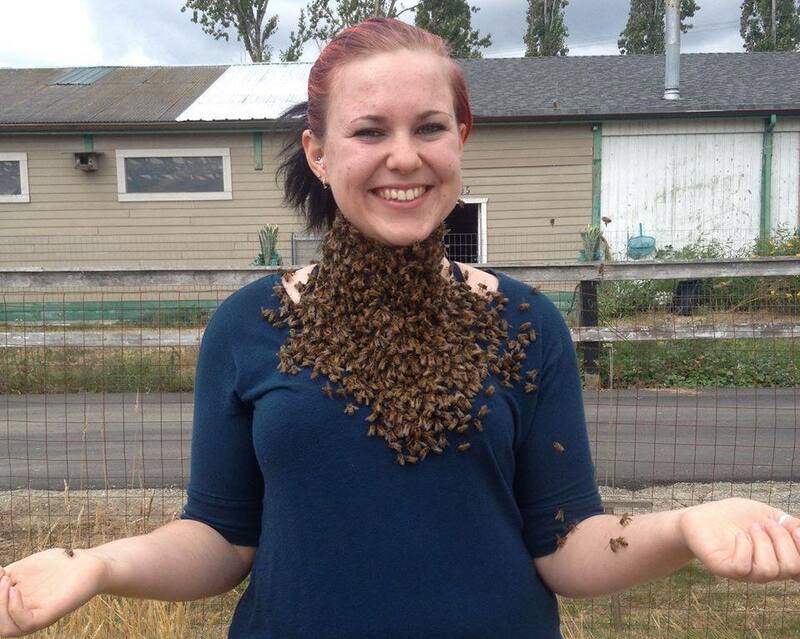 Our brave and dedicated Ali wearing a bee beard of thousands of live bees. It is almost time for our ANNUAL OPEN HOUSE… and you are all invited! 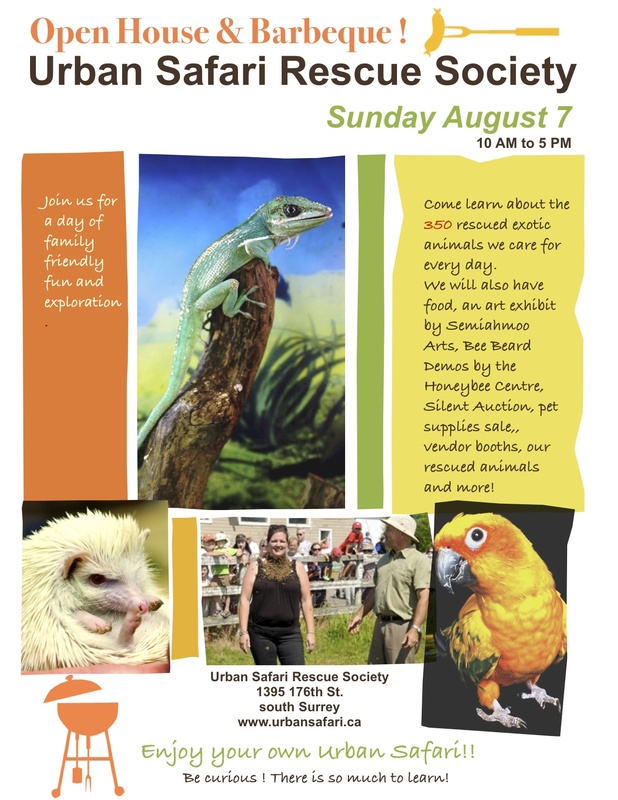 Come by on Sunday Aug. 7 from 10am to 5pm. and see what’s going on. We have new summer hours. We are open to the public for visits 5 days a week. We are closed to the public on Tuesdays and Wednesdays. We are open from 11AM to 4PM. on all other days ( Thursdays, Fridays, Saturdays, Sundays, Mondays ). 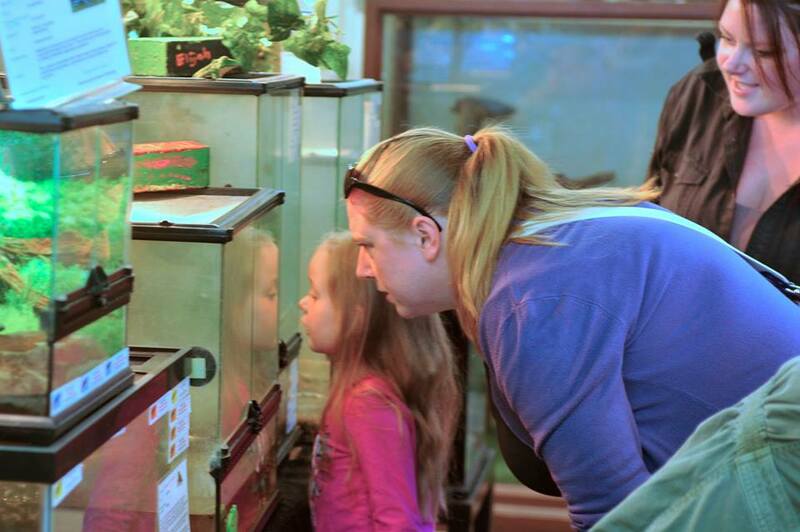 We look forward to having you drop in to learn about these exotic animals and issues surrounding exotic animals. Things have been rather busy around here so it we haven’t updated in a while. So, here is what’s new around Urban Safari. 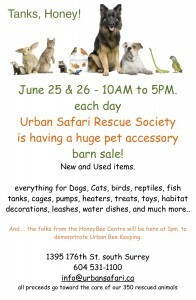 First, Join us on Saturday June 25 and Sunday June 26 from 10 am to 5 pm. for the ‘TANKS HONEY’ barn sale. Looking for something special for your pet? We may have it and at garage sale prices! 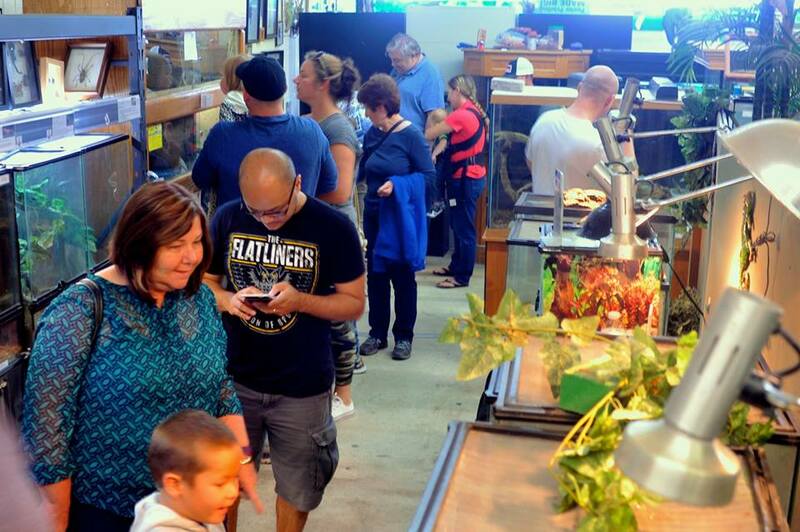 We have been fortunate to have large donations of pet supplies from Petland and Pet Habitat, as well as all the items people donate like used aquariums. We can’t use it all so we are holding this sale as a fund raiser. 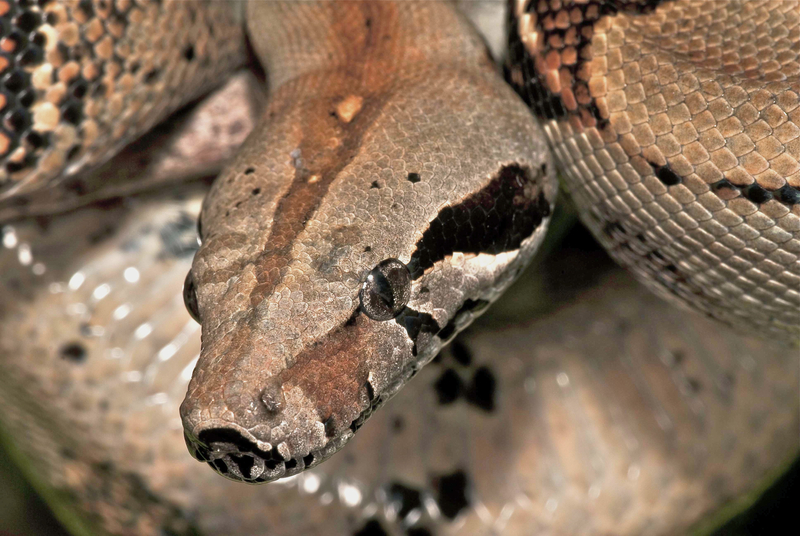 All money raised goes directly toward the care and feeding of our 350 rescued and surrendered exotic animals. Also the folks from the HoneyBee Centre will be coming by on Saturday to demonstrate Urban Bee Keeping in our brand new Community Bee Garden! Second, We are proud and happy to announce our participation in Community Bee Keeping project. This initiative, created by the folks at the HoneyBee Centre on 176th St. in Surrey, is an effort to promote Urban Bee Keeping and establish 100 producing colonies of bees in Surrey over a 5 year period. 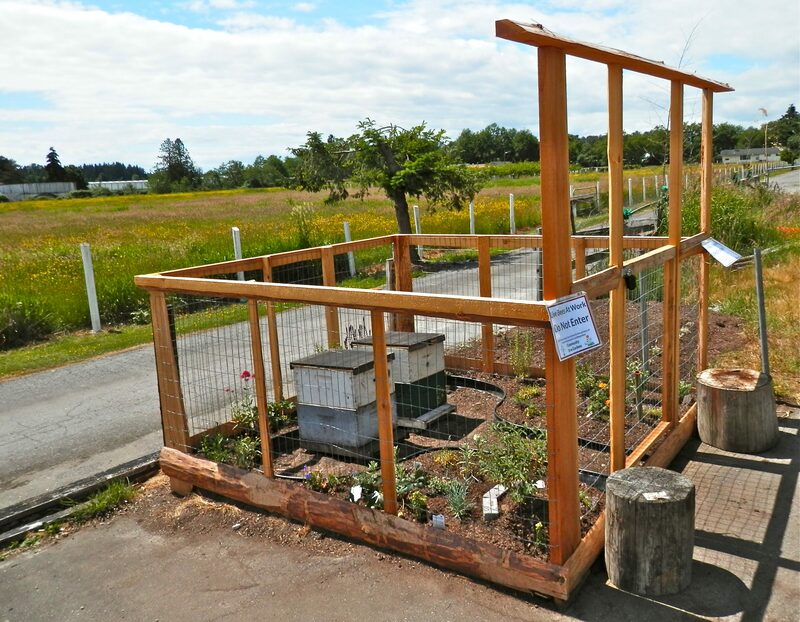 The project volunteers, with the support of Hunter Gardens create a bee friendly garden which contains 2 active bee hives. Demonstrations of Bee Keeping and educational signage is provided to aid in public awareness. 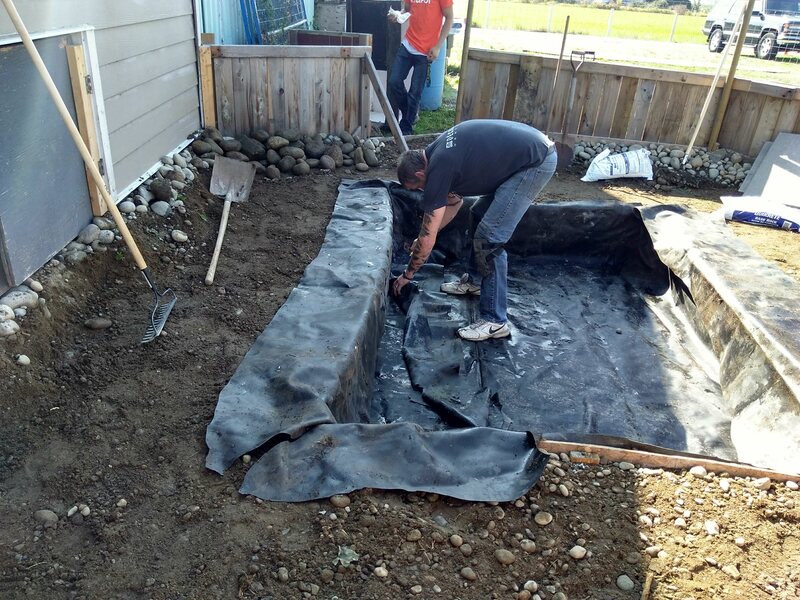 Our garden has been built and is growing nicely. The bees are working hard and establishing themselves very well. It is expected that our 2 hives will produce 35 pounds of honey each. 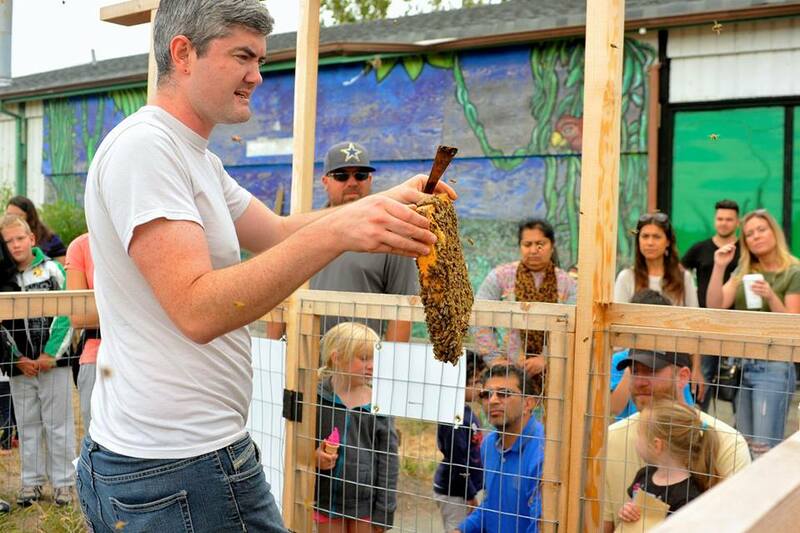 The honey will be donated to the Surrey Food Bank. We are loosing bee colonies at an alarming rate so it is important to make the public aware of the important work bees do pollinating food crops. The DREAM Academy after- school program surrounds students with positive role models who focus on strength-based approaches that facilitate academic achievement, increased leadership abilities, and healthy social development. 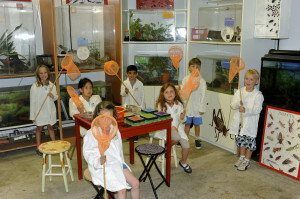 Participating students receive value added time to their school day through the introduction of unique and fun educational activities, relationship development opportunities and academic support in a safe caring and supportive learning environment. We are happy to let you know that we just had the bi-annual vet check of our animals and facilities. 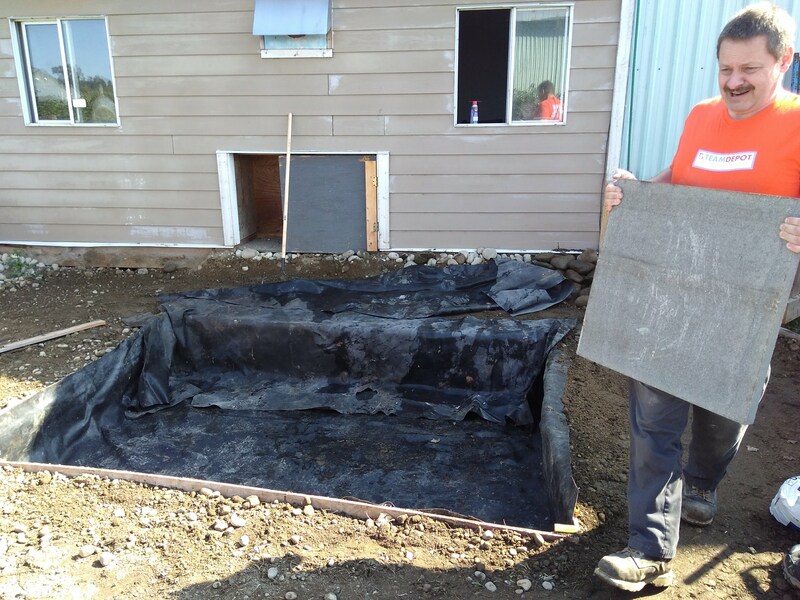 This inspection was done by Dr.Hardin, an exotic animal specialist at Eagle Ridge Animal Hospital in Coquitlam. Dr. Hardin inspected all our animals and was impressed by the good health of the animals overall and by the cleanliness of their enclosures and the facilities. He gave us some suggestions on tightening up our already extensive record keeping systems and gave us tips on sanitizing our various large and small water filter systems when they get the scheduled cleaning. 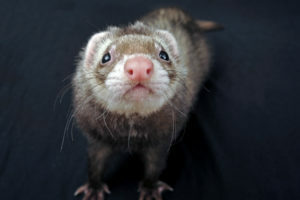 He prescribed treatment for a couple of our animals that we had concerns for and gave us the web address of a site veterinarians use to look up care advise for specific animals. The enclosure temperatures were taken of every animal sensitive to temperature. All was found to be in good order. Our next vet check is scheduled for August 2016. Any animals rescued or submitted before then will be taken to the vet if necessary. I give all credit to Gary Oliver ( our founder and Director of Animal Welfare ), our hard working and knowledgeable staff, and our enthusiastic volunteers. Thank you all for your hard work and dedication. I am proud to work with all of you. Keep up the good work! Vancouver Canucks vs San Jose Sharks….March 3, 2016!!!! If you want a chance to win tickets to see this game let us know via facebook or email info@urbansafari.ca or give us a call! 604 531-1100 $5.00 per ticket…. the draw is on Feb. 22 at 6 PM. A few days ago the animal control officer for the Richmond Animal Protection Society brought us 2 Red Ear Slider turtles. 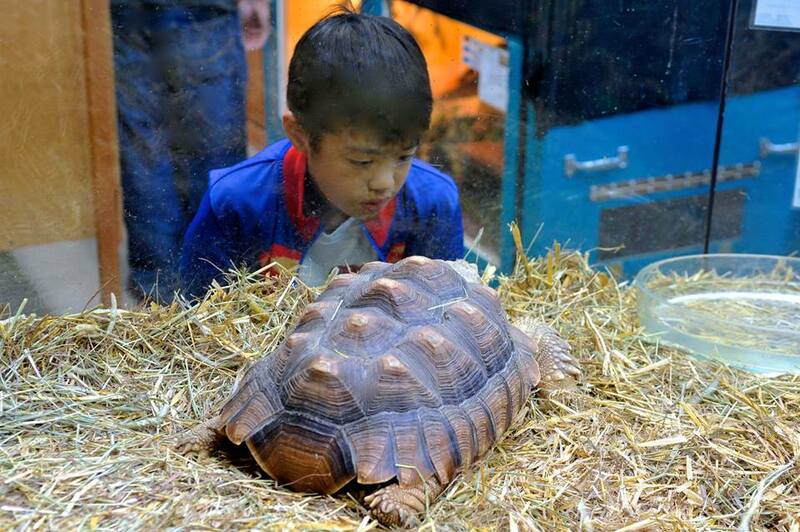 They found the turtles in a tank on the side of the road – abandoned. 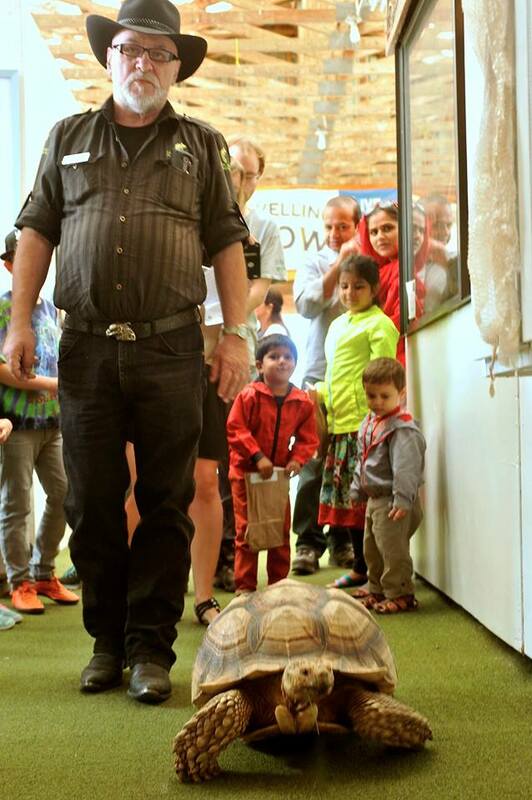 They had no room or the right facilities to keep the turtles, so they brought them to us. We put them in our indoor turtle pond and they are doing just fine. PLEASE – if you cannot keep and look after an animal – your pet please do not abandon them or let them go in our environment. Bring them to an animal shelter or try to re-home to home that can give them the care they need. Even though most shelters are nearly full ( including ours ) we cannot have animals abandoned at the side of the road. 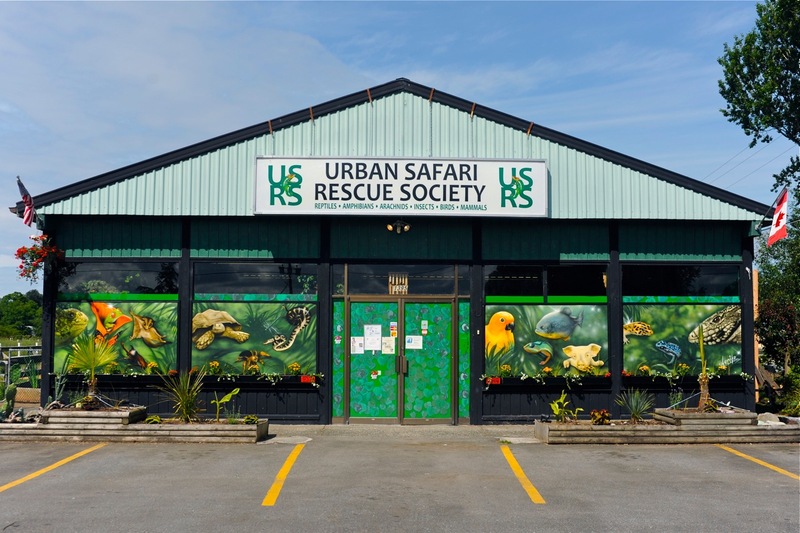 We at Urban Safari Rescue Society want to assure the public we are open today, and through the holidays, for tours of our facility. It has recently come to our attention that a reptile rescue in Mission has run into some problems with the SPCA and had some animals seized, so we want to take this opportunity to make it clear Urban Safari has never had any connection to or association with that group. 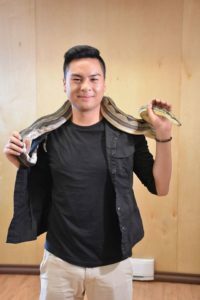 Our South Surrey location is home to all kinds of animals, not just reptiles – nearly all of which are exotic species that have been abandoned or surrendered by their owners – and we give them the specialized care these animals need for the remainder of their natural lives. The veterinary care for our animals is handled by Dr. Hardin at Eagle Ridge Animal Hospital in Coquitlam. 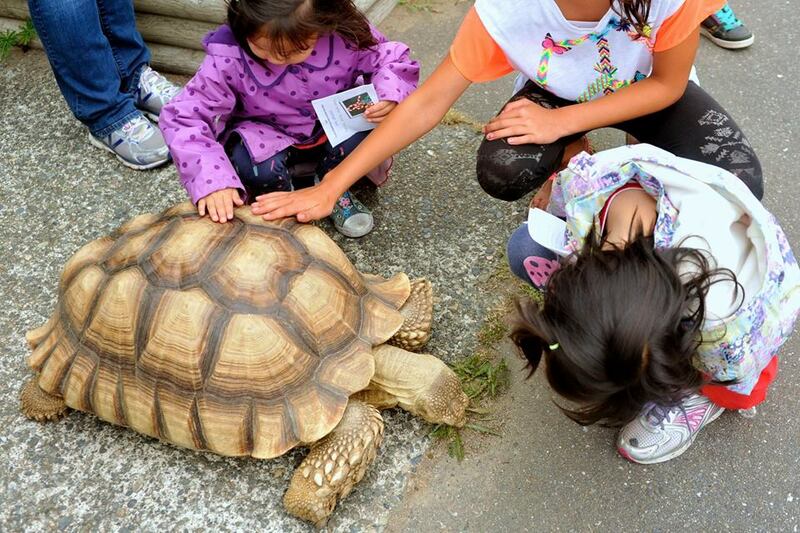 Come visit us at 1395 176th Street, South Surrey to learn more about exotic animals. Our hours are: 11 am to 4 pm everyday except for Mondays, Christmas Day and New Year’s Day. The Urban Safari Rescue Society is pleased to announce the opening of the Urban Safari Vintage Store. 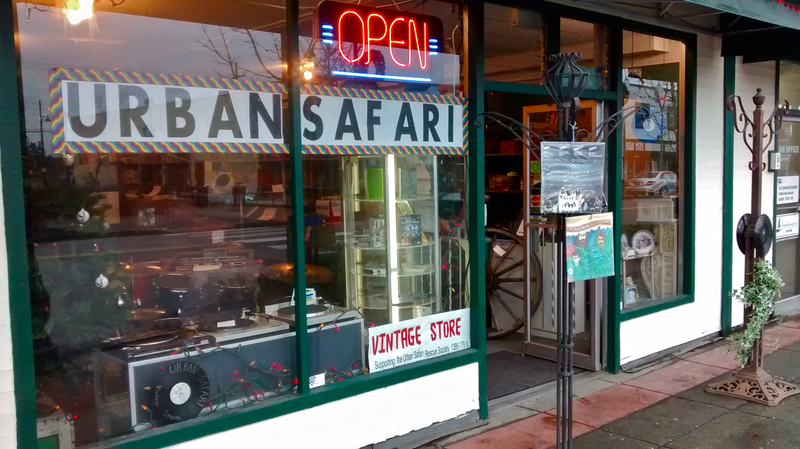 Located in the heart of historic Downtown Cloverdale, the heart and soul of this funky shop is the collection of tens of thousands of vinyl LPs, but there is so much more! CDs, cassettes, 8 tracks, DVDs, and even VHS! Video games and consoles, right from the early 80’s up to some of today’s newest games. 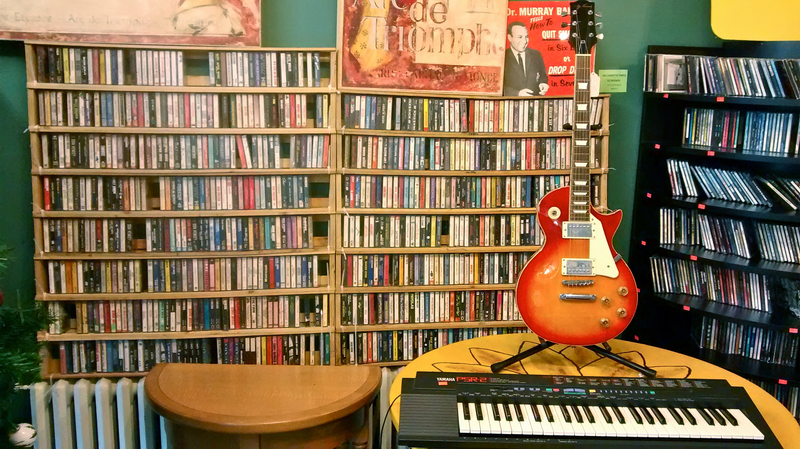 Did we mention the refurbished vintage stereo equipment that is sold with a warranty? Or the uber-cool retro-mods (think tube radios with MP3 players, or 8 track decks with blue tooth!)? How about the ever-changing eclectic mix of retro furniture and decor, that in recent days has included a set of 7 foot long steer horns that hung over a local bar for 70 years; an early 50’s formica dining set; a 1970’s foos-ball table from Chile; and a selection of Monica B’s Funky Furniture, all hand finished by Monica, daughter of local celebrity Shell Busey. The icing on the cake? 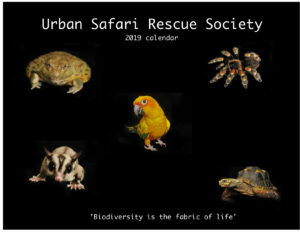 Proceeds go towards supporting our mission at the URban Safari Rescue Society — rescuing and caring for exotic animals, and educating children about conservation and the environment. 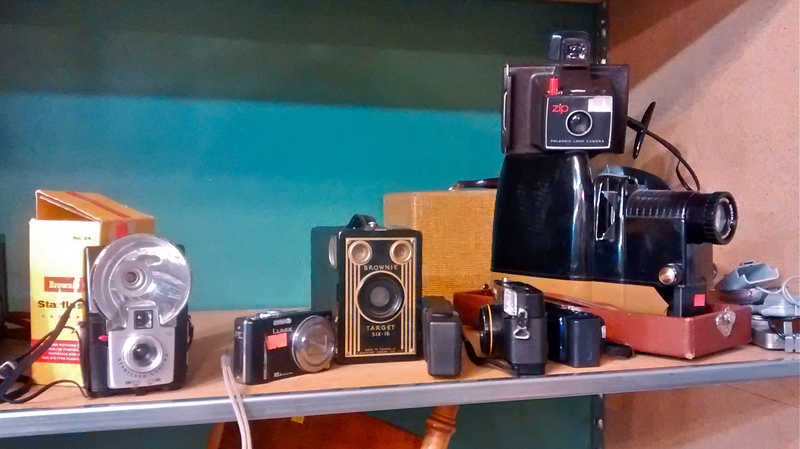 Every purchase or donation of vintage goodies helps, and is much appreciated! 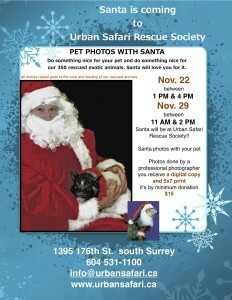 Bring your pet down to Urban Safari on Sunday Nov. 22 from 1PM to 4 PM or Sunday Nov.29 from 11 AM to 2 PM. 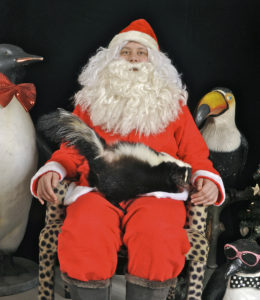 for a professional photo with Santa. For a minimum donation of $15 you receive a digital copy of your image emailed to you and a 5×7 print to take home. All money raised goes directly toward the care of our 350 rescued exotic animals…… and Santa will love you for it. There is so much that is new!! Nov. 2015 – The next session of our unique Junior Zoo Keeping program designed for teenagers starts Saturday Nov. 15 from 1 to 3 pm. Oct. 2015 – BUGS!! We are very pleased to tell you we have new displays. 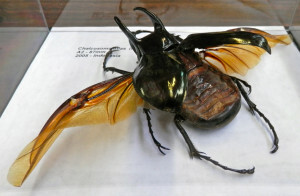 One of our members has loaned Urban Safari a rather large collection of beautifully mounted insects. This collection, on a long term loan, adds to our already rather large collection of mounted butterflies, beetles and so on. 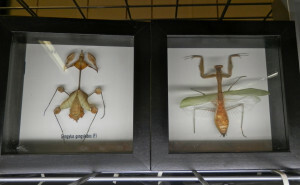 So all you entomologists and budding entomologists out there come by our facilities and learn something new about bugs and all their diversity. Oct. 2015 – We have a new Board of Directors!! Please visit our Board of Directors’ page to learn about the directors. Over the coming weeks information about this diverse group of people will be posted. 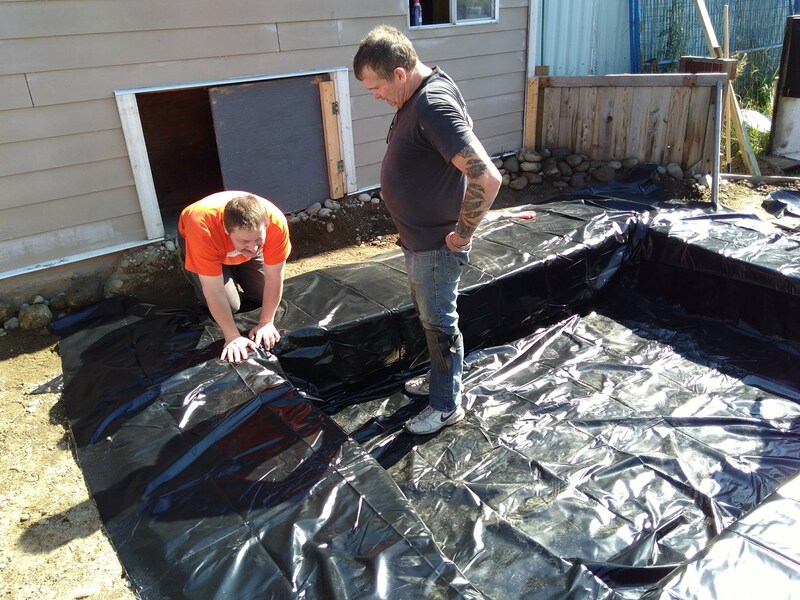 August 2015 – Things are shaping up for the Open House. 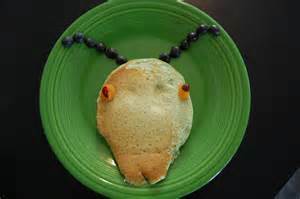 For the adventurous we have cricket and meal worm pancakes! We challenge you to start your day with protein rich crunchy pancakes with crickets and meal worms ( they are completely edible – food grade insects ). For those not so adventurous we will have the regular pancakes. 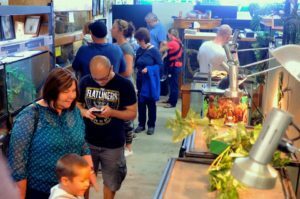 for our annual Open House – Pancake Breakfast and Barbeque!! Sunday August 23 from 10 AM to 5 PM. It will be a full day of fun, exploration and animals. 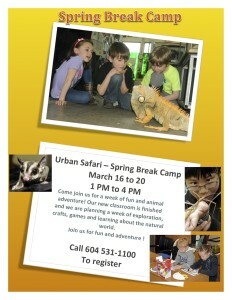 Come have some fun and learn about us and the work we do and explore the animals on your own Urban safari. 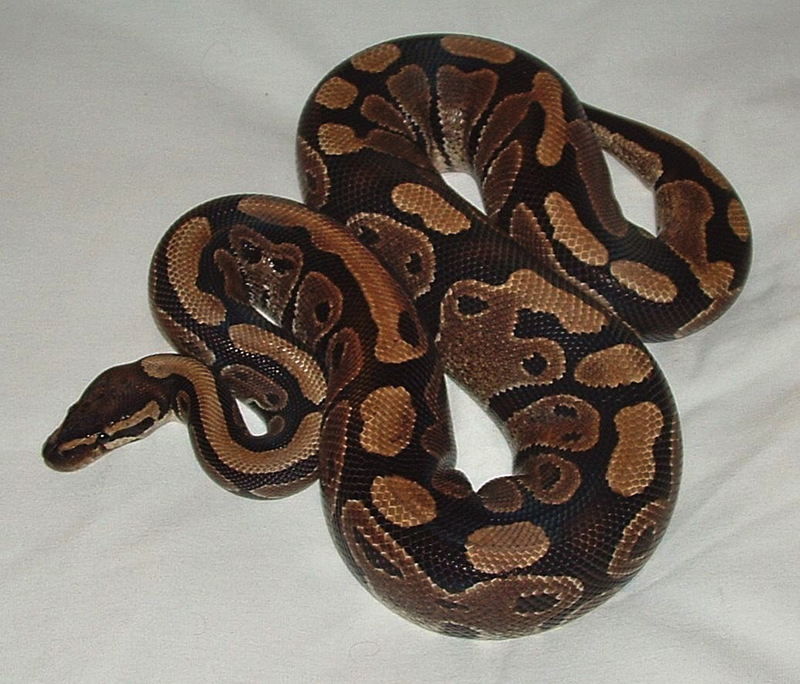 Ball Python – native to Africa – smallest of the African python species. July 2015 – We have had many animals come to us recently. In fact we had a young Ball Python sitting in a tank at our front door when we came in this morning. If you are surrendering an animal please bring it in to us – don’t leave it at the door! The snake was cooking in it’s tank with no water. 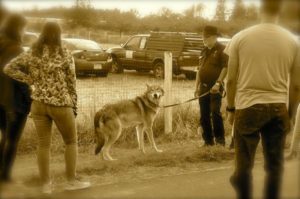 We understand people are busy and maybe uncomfortable about surrendering an animal. But we are open 7 days a week from 9 am to 5 pm. and we are often here long after 5 PM. We will not judge you for surrendering your animal. 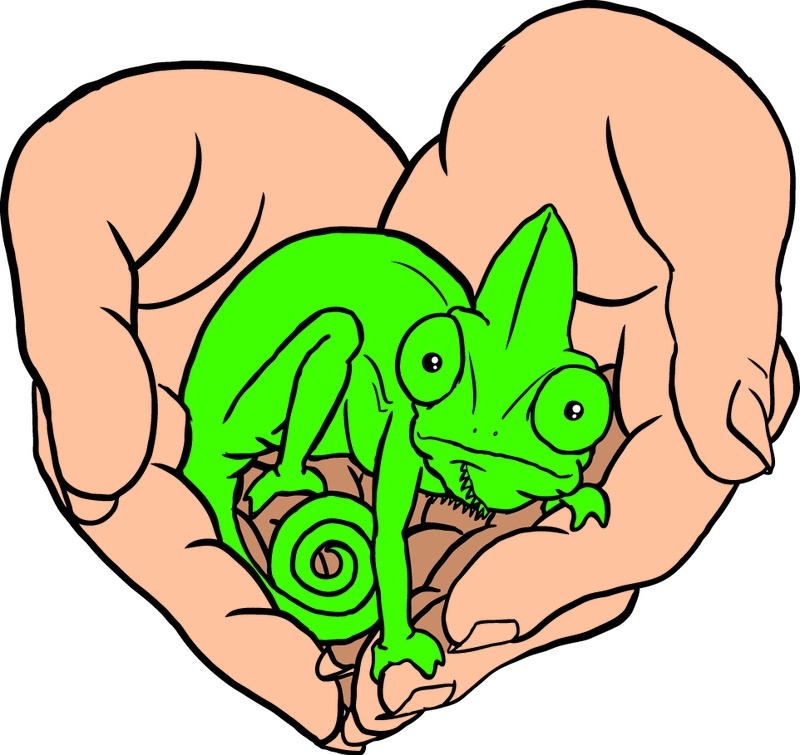 Your animal needs a home – it is our mission as a non-profit society to provide that home with the proper care and food. We do not sell, breed, or adopt out the animals again. We care for them and provide education about animals. exotic animals, the natural world, and conversation issues to thousands of children and adults each year. I wanted to send along our sincere thanks for your visit last Thursday! Wow! What an amazing show and the children there were just so engaged. 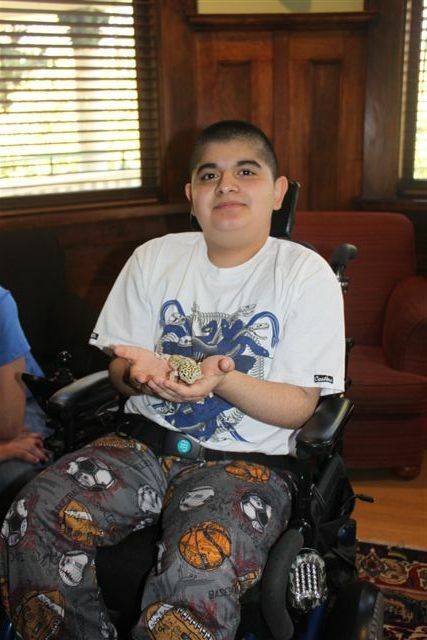 It’s always such a special treat when you folks come into the Hospice – the children and families so look forward to it and often it is the highlight of their stay with us. As promised, I’m sending along a picture of Jayden (one of the kids who were there). We truly appreciate your kindness and generosity. 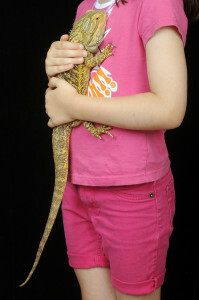 It was so great to see the kids being brave and touching / holding various animals (myself included J). Thank you once again. Easter is coming!! and we are very pleased to tell you Urban Safari Rescue and a variety of our rescued animals will be at Van Dusen Gardens ( Vancouver ) awesome Egg Hunt event! We will be there Saturday and Sunday April 4 & 5 from 10 AM to 2 PM each day. So come visit us and get up close with some amazing critters. We will also be at the Roundhouse Community centre in Vancouver on Saturday April 4 for their Easter celebrations from 9:30 am to 2:30 PM. 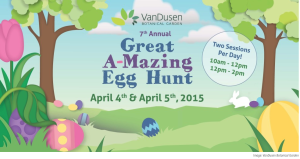 So come see us and meet some of the Easter Bunnies helpers. Shell Busey is coming to our rescue! We have taken in so many animals we have had to put them in our classroom space. So, now we need to build a heated classroom space so we can continue to run the various programs out of our facilities educating the public about animals and the natural world. Listen to Shell’s video and if you think you can help let us know. If you want to share this video that would also help us. …and you’re wondering what to do with the kids so they are learning and having fun…..
Urban Safari is offering a ‘Strike’ camp. 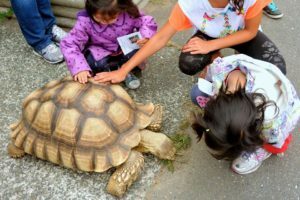 It is open to kids age 6 to 12 yrs. and is on a drop-in basis. BUT please let us know at least the day before you are coming. Camp will start Monday Sept. 8 to Friday Sept. 12. – 10 AM to 3 PM. $40 per day plus 5% GST. 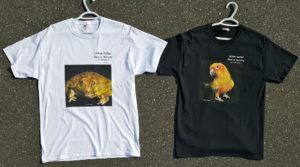 have tortoise races ( weather permitting ), make hand painted t’shirts, and many other crafts. These are only a few of the things we do in our unique camps. There is so much to learn!! We have a new Board of Directors !! After having a very successful AGM where we saw over half the membership turn out to vote we have elected a new Board of Directors. Congratulations to all and welcome to our new Board members! It’s going to be a very interesting year! 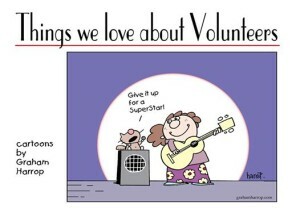 Volunteers make our world go round! Mark this time and date in your calendar ! We our having our volunteer appreciation BBQ. and our Annual General Meeting! 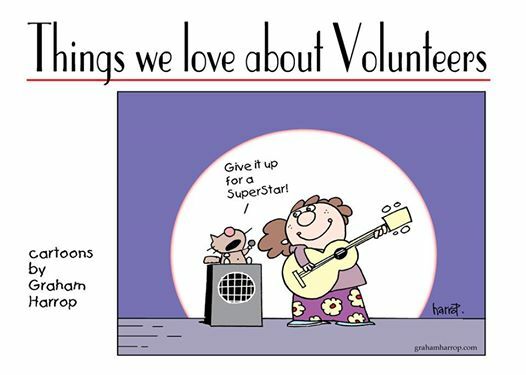 We love our volunteers and we couldn’t do what we do without you. So to show our thanks our current society president ( Greg Smith ) is hosting a BBQ. at his house and you are all invited!! Just so you know Greg is a fantasic cook and he lives only 5 minutes from Urban Safari. So please come and enjoy a couple hours of food and socializing with like minded people. On the same day we are also having our Annual General Meeting for the society. This when you get to vote ( if you are 19 yrs. or older ) for people running for the Board of Directors. This is a very important requirement for the society. If there is no election there is no society, if there is no society there is no animal rescue. If you are 19 or older you are a member of the society and are able to cast your vote. Please call Sharon at 604 531-1100 to confirm that you are coming to this rather important event. You will be given the address when you call in. Time for Summer Camp is coming!! Classes are small and we are taking registrations now so don’t delay! JULY 12 you are invited to our SUMMER OPEN HOUSE AND BBQ. Join us for a day of animal adventures and fun. 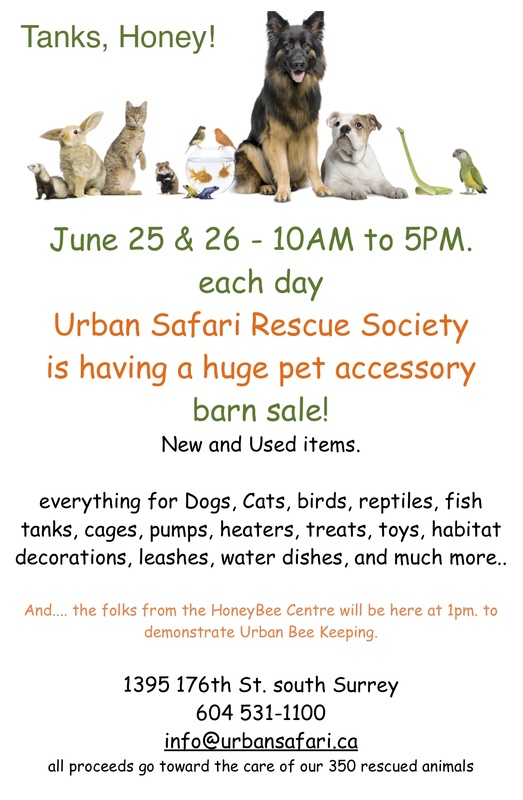 All of our over 350 exotic animals will be here to greet you, there will be a BBQ., our new Bug Lab, Silent Auction with some awesome donations from Home Depot, Fraser Downs Racetrack, Staples, Chatters Hair, Boston Pizza, Pet Solutions, Critters & Friends, and many more including several works of art, carnival games for the kids, rabbit village, get your photo taken with an animal for donation, and much more. Join us – Be Curious – There is so much to Learn !!! 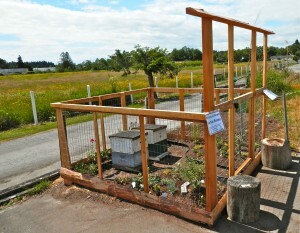 The Bug Lab, which was at the Honeybee Centre in Cloverdale has now moved to our location. Thanks to John Gibeau and the Honeybee Centre for the generous donation of this amazing collection and resource of all things BUGGY ! 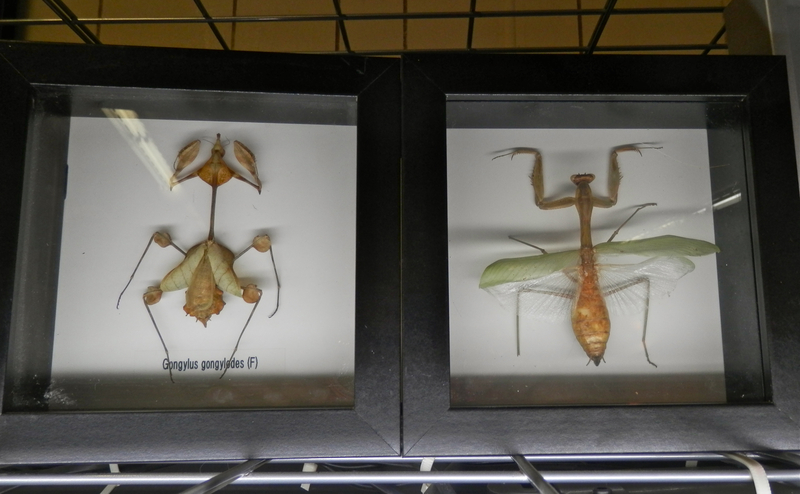 So we are very pleased to be the home of hundreds of mounted and live specimens of bugs. The exhibit will be installed and ready for the public by Saturday July 12. So come down and learn why Butterflies have patterns on their wings, why Tarantulas have hair, what is the heaviest insect, what insect migrate 2000 miles every year, why insects are so important to our environment, and much much more. Our new murals are installed and looking fantastic! 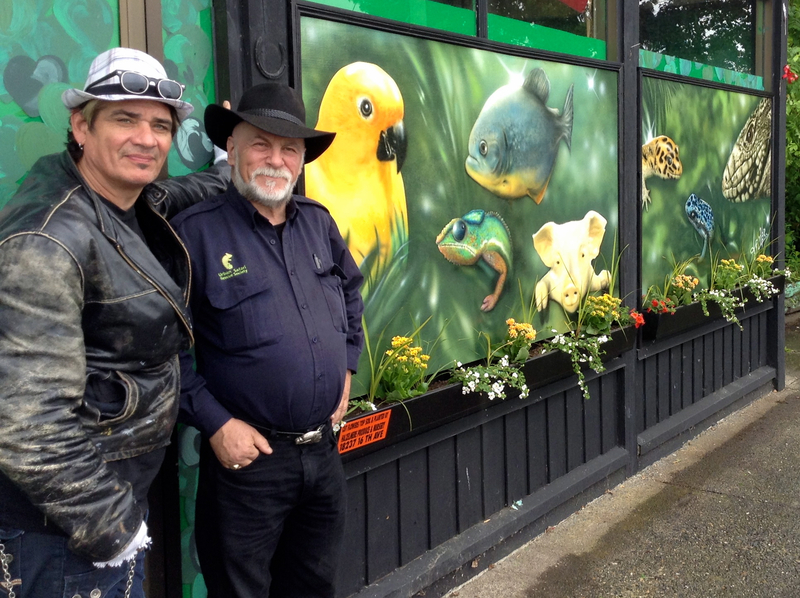 Created by internationally known airbrush artist Paul Archer the murals reflect the animals care for every day. We are so grateful to Paul Archer for taking an interest in us and creating such a beautiful and welcoming work of art for the front of our building. and we have Spring Break Camp for young Naturalists, Environmentalists, Animal lovers, and those curious about the Natural World. 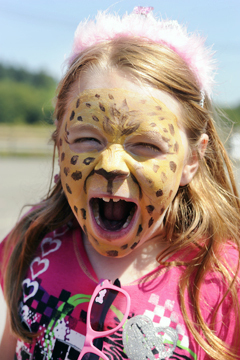 Send your kids on a wild adventure during Spring Break, with a camp experience they’ll never forget. Help them discover some of the planet’s most incredible things. You’ll be impressed with how much your kids learn as they enjoy activities, games, and animal encounters. 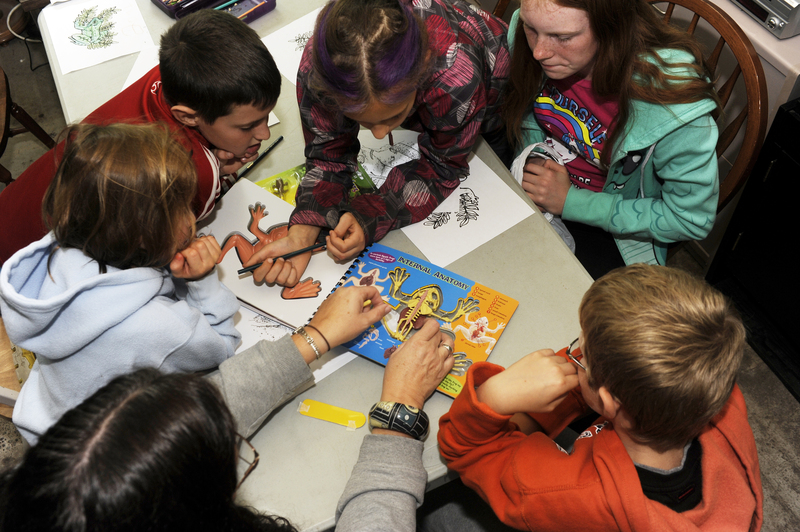 This very unique day long camp accepts a maximum of 10 registrations per class over the March Break. Children taking part in this program will learn about animals of all kinds and the fundamentals of conservation and good environmental stewardship. 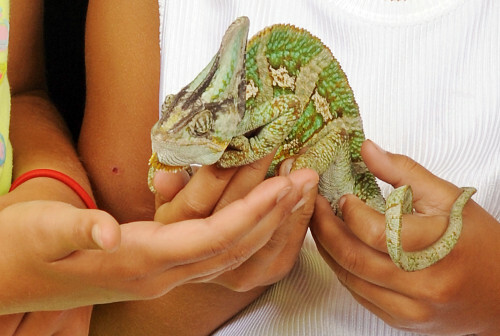 The camp allows children to explore their curiosity about the natural world in our relaxed, unique facilities surrounded by our 300 rescued exotic animals. 10 Am to 3 Pm.